The U.S. Justice Department is probing some of the leading wireless carriers and an industry group over possible coordination to make it harder for customers to switch carriers. The Justice Department sent a letter in February to the four major national carriers as well as to an industry standards-setting group, GSMA, seeking more information, a person with knowledge of the inquiry told CNN. Not all four are necessarily under investigation, the source cautioned. The New York Times reported Friday that the Justice Department had opened an antitrust probe into coordination between AT&T (T), Verizon (VZ) and GSMA to restrict eSIM, a technology that allows customers to switch carriers without needing to get a new, tiny SIM card. "We are aware of the investigation into GSMA's process for developing eSIM standards that provide a better experience for consumers," an AT&T spokesperson said in a statement. "Along with other GSMA members, we have provided information to the government in response to their requests and will continue to work proactively within GSMA, including with those who might disagree with the proposed standards, to move this issue forward." A Justice Department spokesperson declined to comment, saying in an email that "as a matter of policy, the Department of Justice does not confirm, deny, or otherwise comment, on the existence or nonexistence of investigations." AT&T acknowledged the eSIM investigation in a statement. "Along with other GSMA members, we have provided information to the government in response to their requests and will continue to work proactively within GSMA, including with those who might disagree with the proposed standards, to move this issue forward." Sprint (S) declined to comment, and representatives for Verizon, T-Mobile (TMUS) and the GSMA did not immediately respond to requests for comment. Shares of Verizon and AT&T dipped slightly following the news. "It's no secret that none of the carriers have been eager to embrace the idea [of eSIM]," says Craig Moffett, a telecom industry analyst at MoffettNathanson. Unlike traditional SIM cards, which are typically carrier specific, eSIM would let mobile customers switch between the major carriers simply by changing software, according to Moffett. "A customer that owns a device that can be readily switched from carrier to carrier without even having to bring it in to the store, that's a world that would have much higher churn and lower profitability [for the carriers]," he said. The eSIM technology is featured on devices made by Google (GOOGL) and Apple (AAPL), including the Pixel smartphone and Apple Watch, respectively. 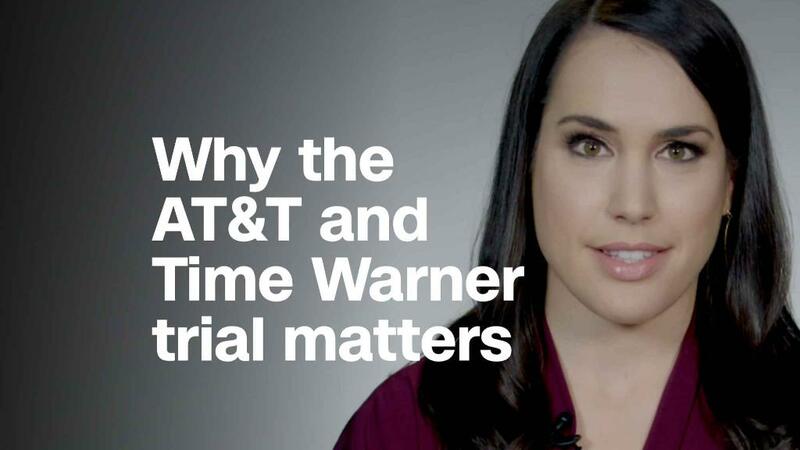 News of the investigation comes as AT&T is already fighting the Justice Department in court over its blockbuster deal to acquire Time Warner (TWX), the parent company of CNN.